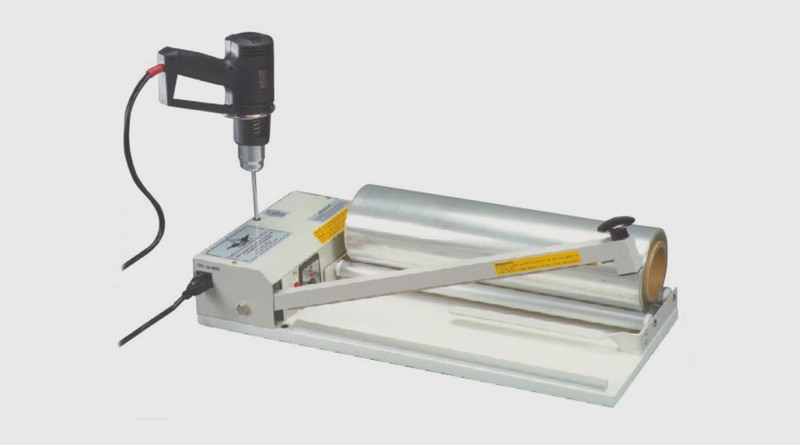 The I-bar shrink system conveniently wraps and seals your product in POF film. Entry Level All in One Shrink System. The cut-wire element is perfect for sealing up boxes in layflat LDPE or centrefold VECTOR POF shrink film. Apply heat with the Heat Gun to shrink the film around the package. Ideal for low volume (approx 300-500 packs per day) packing. Takes up to 450mm wide film. IDEAL FOR USE WITH VECTOR POF SHRINK FILM.